Florals aren't just for spring y'all, so don't put them away just yet! 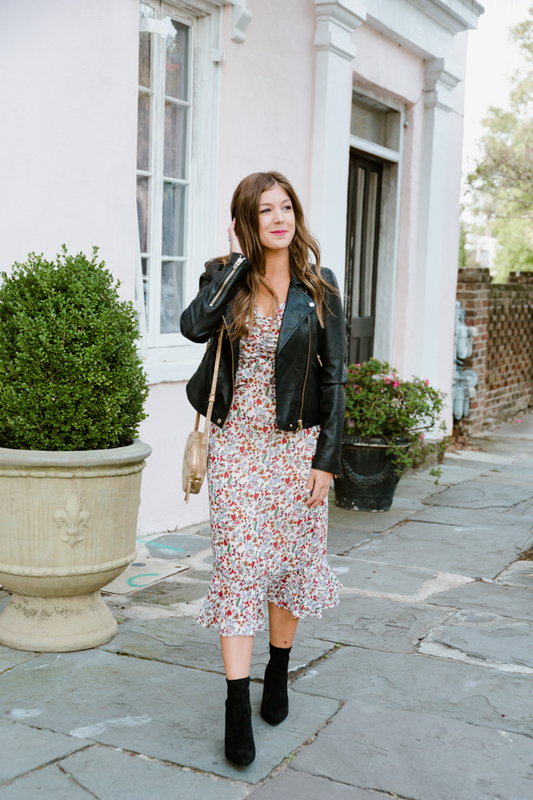 It's super easy to style your florals so that you can wear them into fall, and even into the winter! 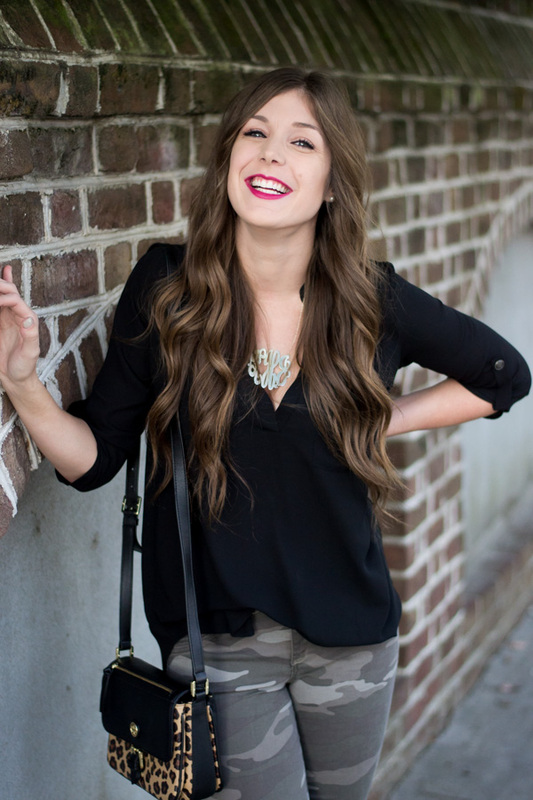 I have one trick that I always use when I'm trying to style my florals for a different season- add black! 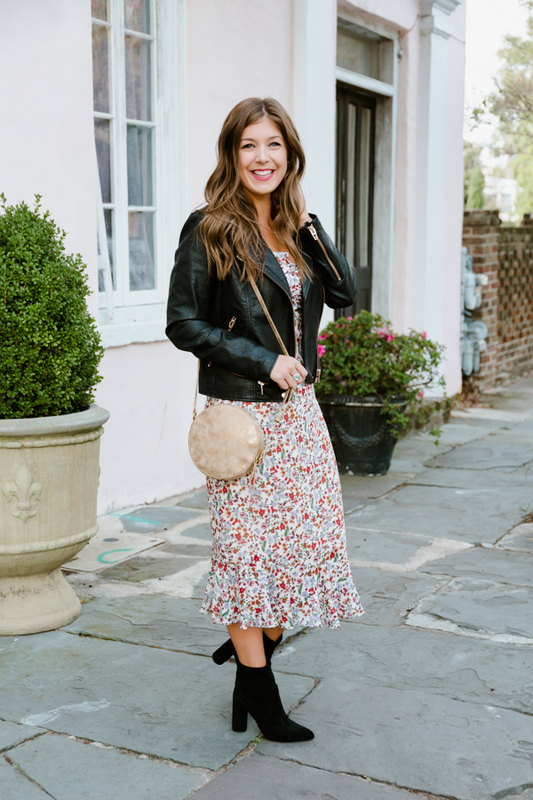 My black leather jacket and booties completely transform my spring floral dress into a different outfit! 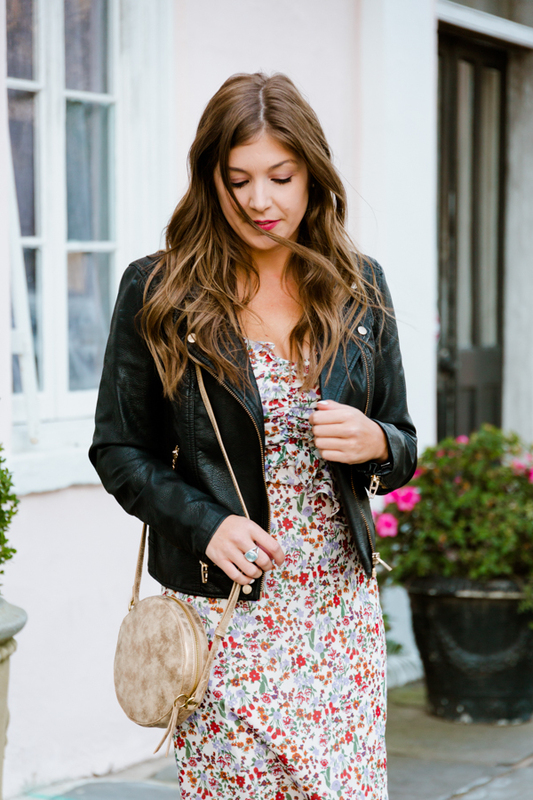 Love the combination of the feminine floral with the leather jacket! So cute! I looooooooove this look! This might be my favorite outfit of yours to date!! And those booties are so good!! It looks great with that moto jacket! I love how you've taken your summer dress into fall! Those sock booties are fabulous and I really feel like I need a pair now! 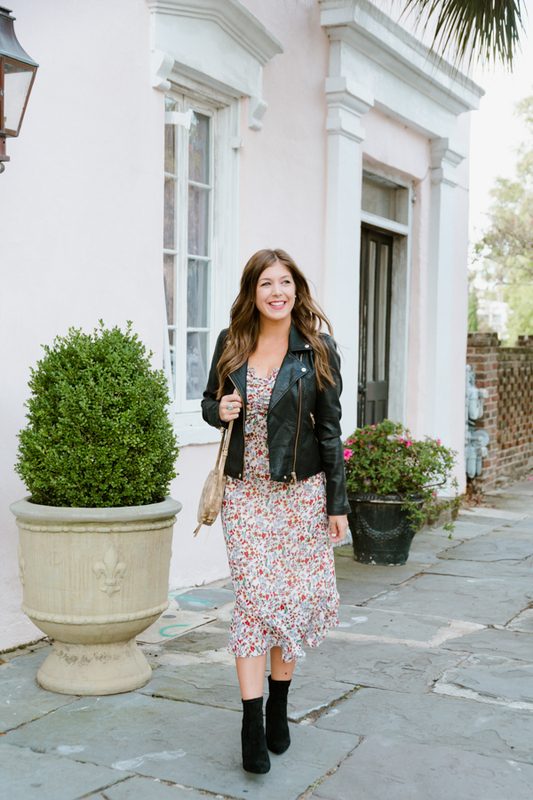 love that you paired a girly floral dress with an edgy leather jacket -- amazing contrast! So cute girly!! Always love a good floral! Such a great look! I love the leather as well too, great florals combo! So glad to know this style trick! It will extend my wardrobe and make it better for more seasons. 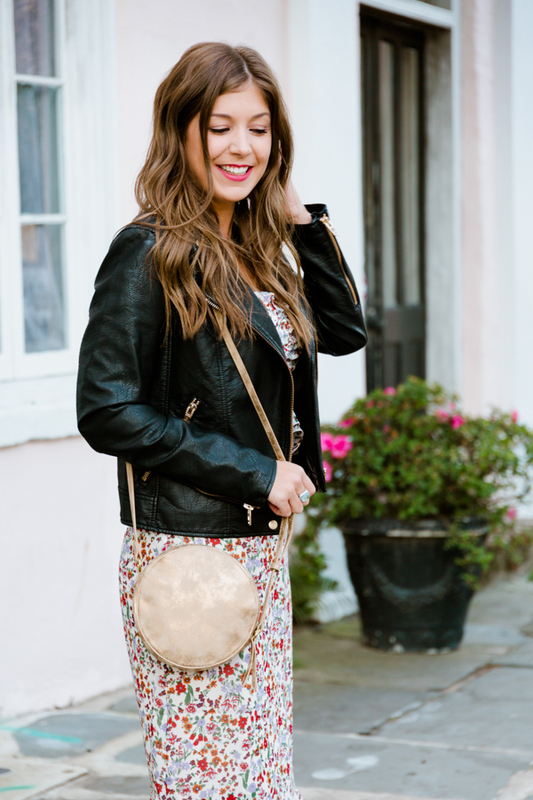 The floral and leather combo is really perfect! I need to do this to my floral dresses to extend my wardrobe. Obsessed with this combination Kelsey! The sweet + edgy combo is perfection! I love florals for every season. I really love how you paired the leather jacket with this gorgeous dress. It’s perfect! The combination of feminine and edgy is so unexpected! Love it. I am in LOVE with this look! It is incredible how the leather jacket takes something so sweet into something to edgy making it fall appropriate. You look so darn good! 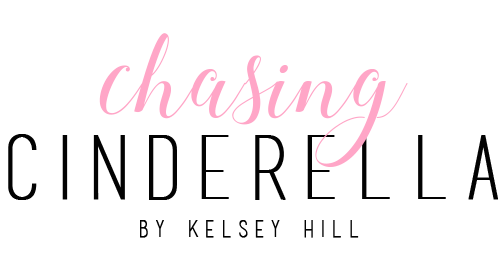 I love wearing florals in fall and winter too!! Such great styling!